"Wonder Woman" is set to hit the silver screen this weekend. 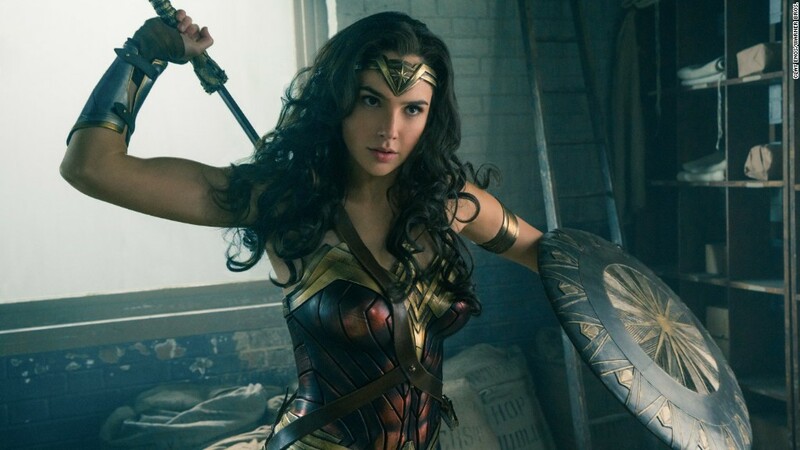 The film will not be shown in the country following a decision by the Ministry of Economy and Trade, which said in a statement that it has "taken all necessary action" to ban the film starring "the Israeli actress Gal Gadot." The theater chain Grand Cinemas confirmed the news to customers: "#WonderWoman has been banned in #Lebanon," it tweeted. The reason? Wonder Woman is played by Gadot, an Israeli who served in the country's defense forces. Lebanon and Israel have been fighting for decades. The most recent major confrontation was in 2006, when Israel sent ground troops across the border and launched air strikes after two Israeli soldiers were killed and three were kidnapped. Around 1,000 Lebanese were killed in the violence. Lebanon bans the purchase of Israeli products and its citizens are not allowed to travel there. "We refuse to normalize relations with an enemy state," said Rania Masri, a member of the Campaign to Boycott Supporters of Israel-Lebanon. "We're not talking about a political disagreement, were talking about resistance against occupation." Related: Can 'Wonder Woman' end the summer movie slump? Not everyone agrees. A petition titled "Release Wonder Woman in Lebanon" was also circulating on Thursday. "Gal Gadot may be an Israeli, but we want to watch a movie about the amazing character of Wonder Woman," it said. Related: Can 'Wonder Woman' save the world with its hopeful message? It's not the first time that Lebanon has debated whether to screen Gadot's films. Last year, there was a movement to boycott "Batman v. Superman: Dawn of Justice", but the film was eventually shown. "Wonder Woman" was produced by Warner Bros., which is owned by CNN parent company Time Warner. Warner Bros. did not immediately respond to a request for comment on Thursday.